'Beard Season' is upon us. Haven't heard about this men's health campaign yet? Well, you will soon. 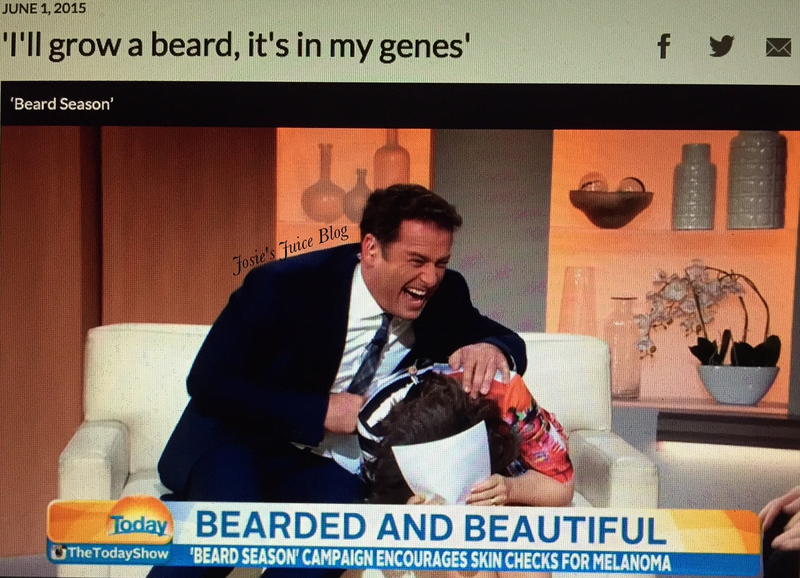 Thanks to a going-viral clip from this morning's Today show, where Lisa Wilkinson said she "I'll grow a beard, because it's in my genes" (PR GOLD! You can watch the whole clip here) this fantastic campaign is now firmly on our radars… and hopefully, on your man's face! It's a campaign encouraging men to grow beards is raising awareness of melanoma, and to promote getting your skin checked. What started as a group of friends growing a beard every winter has grown into a national campaign to get Australians to check their skin for melanoma. Founded by friends of Wes Bonny, a 26 year old who died of a melanoma in 2010 - he is this ad, below - Jimmy Niggles is founder and greatest advocate, and has been campaigning ever since to prompt everyone to get their skin checked, one beard at a time. The campaign was started when, at Wes' wake, old farmers at the bar were sporting some "wizard, farmer beards" which got them thinking: "Why don't blokes our age do this?" "Every winter since then our mates have been growing beards and getting their skin checked and then using their beard's to challenge as many people as they can," Niggles said. To get your skin checked go to melanoma.org.au or talk to a qualified health pro on 13 11 20. So, men: grow your beards! What we started became Beard Season - a non profit charity responsible for a global movement made up of tens of thousands of ambassadors who are helping our message grow stronger with every conversation their beards are helping to sprout. By joining us on this quest your facial fuzz could become the most glorious golden fleece in the universe (especially for those who book a skin check because of it). So dear friend, it is time to retire your razor and tuck away your trimmer. By summoning the spirits of vikings, lumberjacks and sea captains deep within our chin roots, we can all grow together to make Beard Season be everything it can lusciously be. It would be an honour to have you on board. Enter your zip/post code and then select a clinic. (On the site you can choose the clinic closest to you which comes up in the search). Or, simply visit your family GP and make sure they do a thorough examination. Many melanomas are mis-diagnosed so it is important you see a specialist who knows what they are doing. 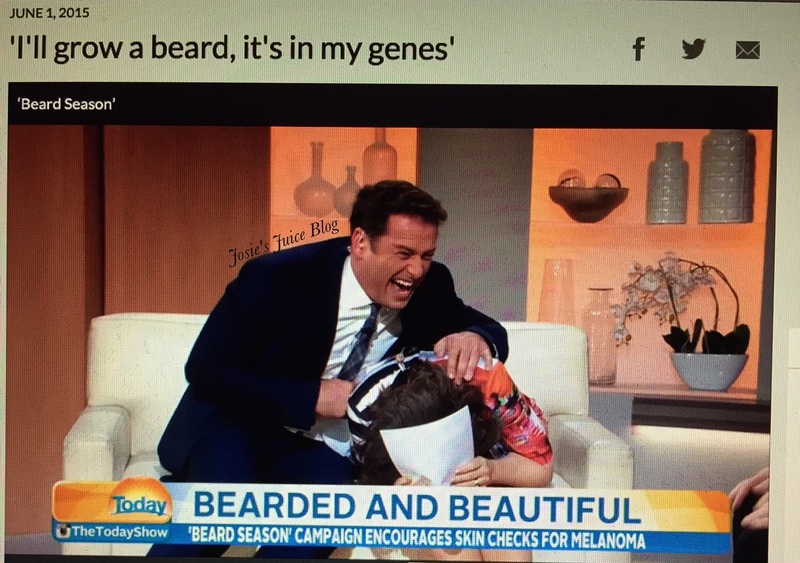 Your Beard Season mission is use your beard to convince as many people as possible to book a skin check for melanoma. We’ve met so many people who have found something which could have killed them were it not for this friendly advice. It’s seriously amazing. Start with your family, your friends, people you work with and especially those people who compliment you on your beard. To document your journey, take a photo with everyone you’ve challenged doing the #BeardSeasonPoint, then share your photo on social media with the hashtag #BeardSeason. There’ll be parties, prizes and challenges as each winter unfolds, so stay tuned through social media and let us know how you’re flying the Beard Season flag (unless of course you’re pioneering unseen lands beyond the realms of technology, wherein a charcoal sketch on a piece of rolled parchment in a cork sealed bottle or attached to the leg of a falcon will do just fine). Oh and ladies… you’re super important to Beard Season too. If you have a man-friend please encourage their Beard Season exploits. It may be a little prickly at first but it will soon smooth out into a nice heavenly thicket (or so I’m told). The more confident your man is with his beard growing skills the more prouldy he will wear it. If you’re single, encourage gentlemen sporting beards you may spot at the bar with a wink and a chilled scotch. Then harass him until he has a photo with you – which you will eagerly share and tag us. To make these photos extra spectacular you could tie your hair under your chin into what’s now known as the #BeardSeasonBob. Don’t be shy. It certainly is. Head to the site (link above) for more. And follow them on Instagram here.